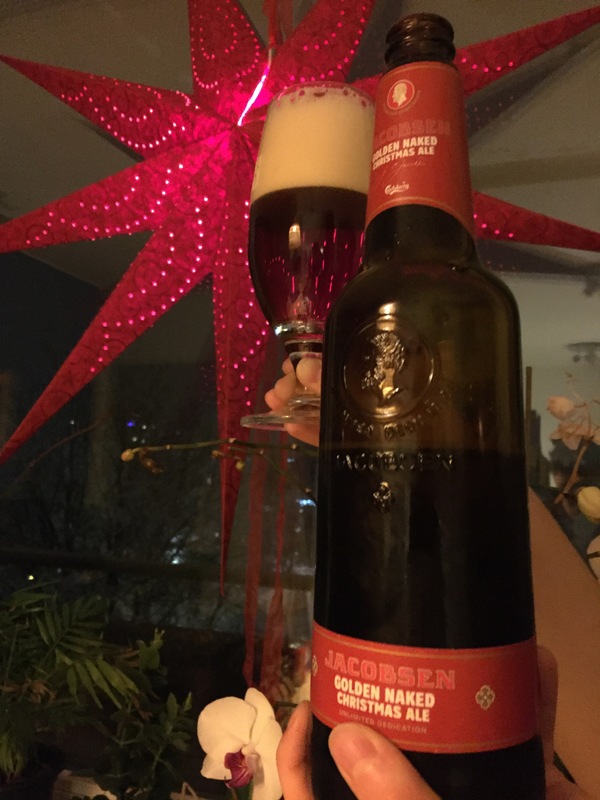 Jacobsen’s Golden Naked Christmas Ale is definitely gold in colour with a white head that lasts a long time. The aroma is fruity and grape-like in character and the flavour is sweet and fruity with slight hints of chocolate. The body is medium and the carbonation is high. Rating: 3.75 / 5 – flavourful and easy to drink, can’t taste the alcohol expected in a beer of this strength, would probably share with a couple of other people in the future because of the large bottle size. 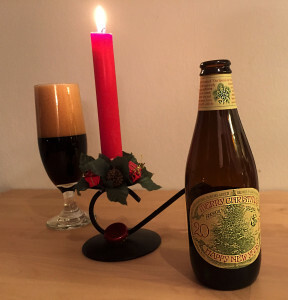 Anchor Brewing’s Christmas ale is the same every year, but different every year. Each year they brew the same recipe but put in different spices and have been doing so for 41 years now. Dark with a cream coloured head this beer has a slightly sweet spicy character with some notes of pine needles to it, even a slight hint of basil. In the flavour the pine comes through much more strongly and is a pleasant compliment to the strong malt character in the beer. The body is medium-full and the carbonation is medium-high. 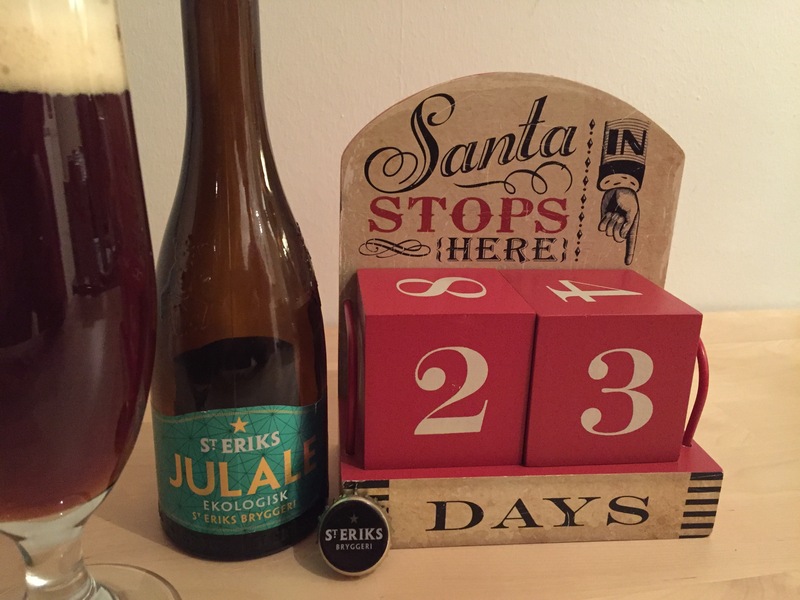 Rating: 4 / 5 – An excellent blend of spices this year, really enjoying the pine. 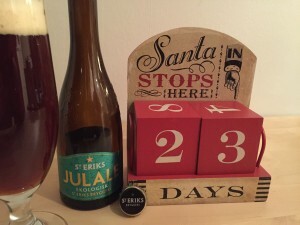 One of Sweden’s biggest craft breweries, St Eriks beer this year, the Organic Jul Ale has a light but not quite white head on it and a deep rich red colour in the beer. The aroma is of malt and bread with some sulfur notes. The taste is sweet and slightly fruity with a clean finish. Body and carbonation are both medium levels. Rating: 3.5 / 5 – Clean, well brewed and enjoyable, could easily have one of these with dinner. Aaaaand we’re back for the 2015 advent season. 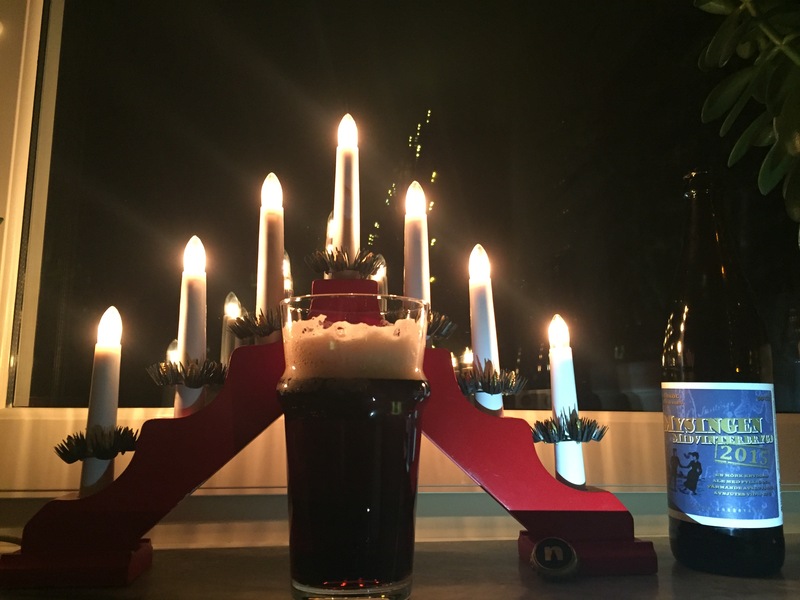 This year we’re going to start off with a Swedish brew, Mysingen Midvinternbrygg by Nynashamns Bryggeri. This beer is dark in colour with a reddish hue throughout it and a light tan head that lasted a while. The beer is filled with nutmeg, cumin, vanilla, orange zest and carnation, making it little wonder that it has a spicy character that dominates the nose then carries through to the flavour, which is backed by a solid malt base. The body of the beer is a little heavy and the carbonation is medium low, present without being at the forefront. Rating: 3.5 / 5 – I like it, the various spices are interesting and add some needed complexity. August 6th this year is IPA day, so how better to celebrate than with one of my very own homebrews? 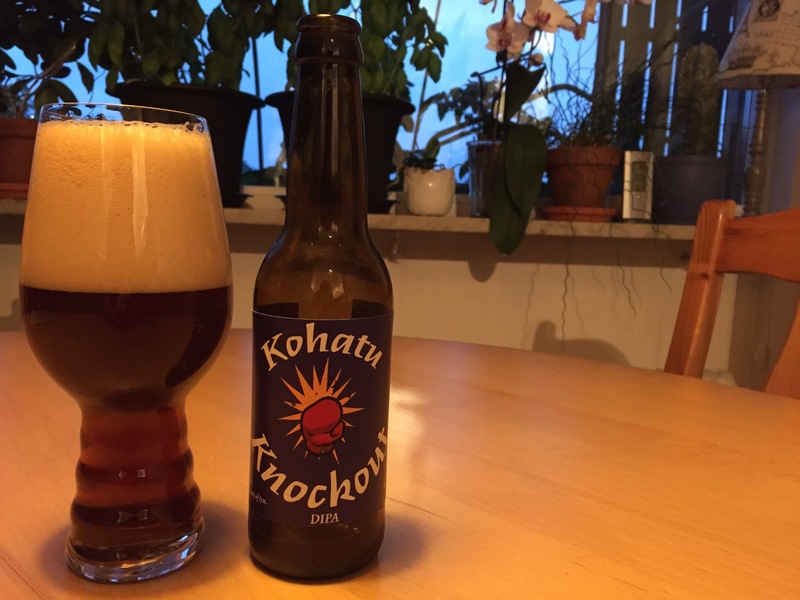 Kohatu knockout is a double IPA that focuses on Kohatu hops, but also has a supporting cast of Chinook and Simcoe. The malt bill is simple but notable for Caracrystal wheat, which adds a rich and soft mouthfeel to the beer. Kohatu knockout is the brainchild of my brewing partner Bjorn, who first discovered the Kohatu hop in the IPA is Dead 2014 pack put out by Brewdog. Having a great desire to make something with Kohatu hops, he put this recipe together, our first homebrew designed and developed solely by him. Kohatu is a New Zealand hop with a focus on such characteristics as pineapple, pine, lemon and other Hawaiian punch flavours. Is anyone else having an IPA today? Share in the comments what you had! The final homebrew on my list this year is a Christmas ale that we bottled two weeks ago and opened for the first time on Saturday. The beer has a deep reddish brown colour to it and a cream coloured head with very poor head retention. The aroma is strongly of chocolate and vanilla and the flavour is sweet with vanilla, caramel and chocolate flavours to it. The beer has some hops in it but they don’t show through at all. The body and carbonation are medium. Rating: 3.5/5 – Definitely a festive beer, very sweet. Sigtuna is the last Swedish craft brewery in my advent calendar this year and one of the ones I’ve been looking forward to the most. 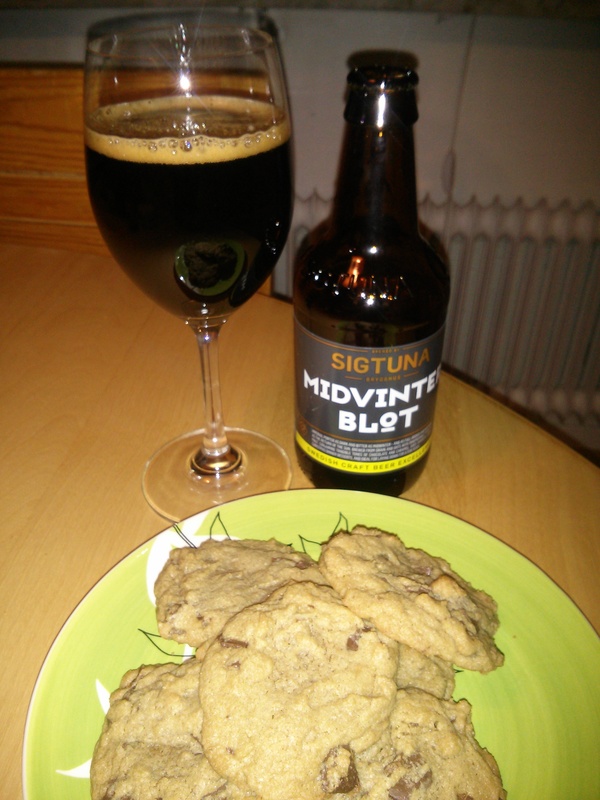 The Midvinter Blot is an Imperial Porter and reminds me a bit of a scotch ale.The colour is extremely dark and the very little head is coffee in colour and didn’t last very long. Aroma in this beer is rich and malty and slightly sweet. 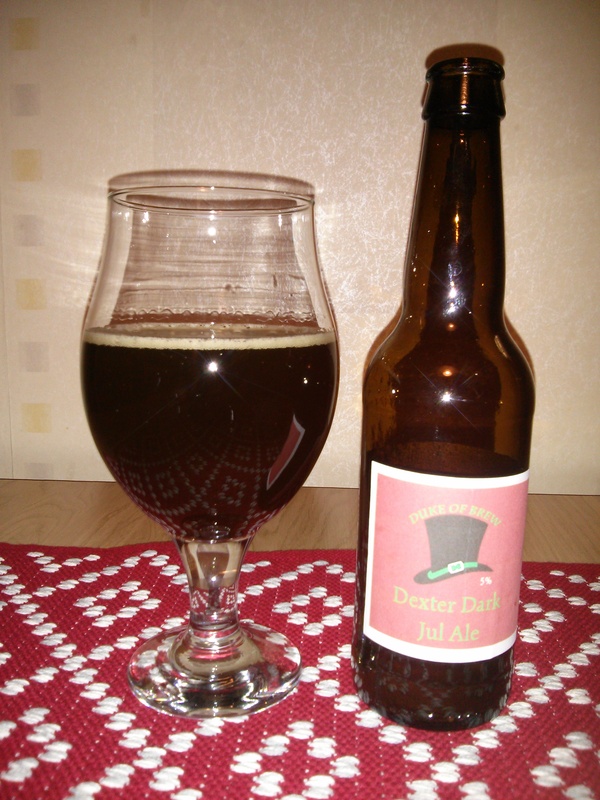 The flavour is thick and malty with some solid up front caramel and toffee flavour to it with a roasted hint, and finishes with some hints of raising and plum. The body is heavy and the carbonation is low. 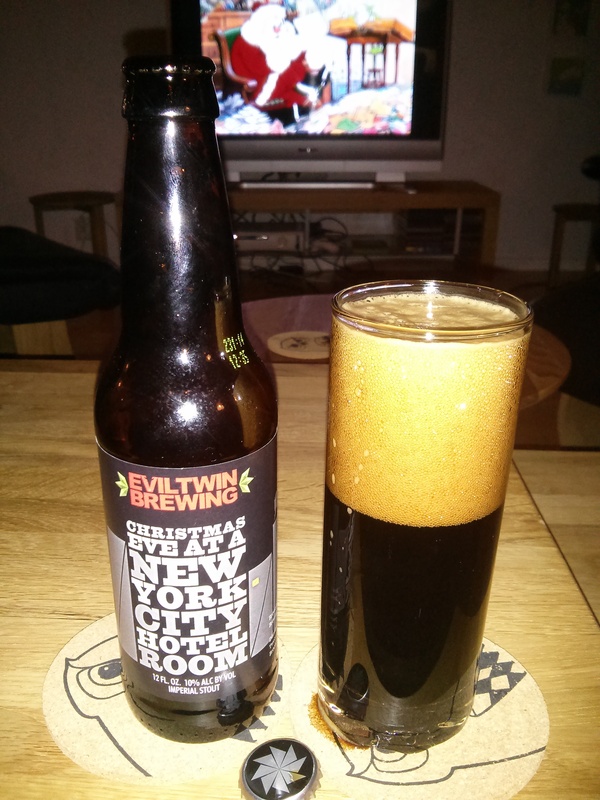 Rating: 4/5 – Really enjoying this, sweet for a porter but not too sweet. Lots of flavours makes it constantly interesting. 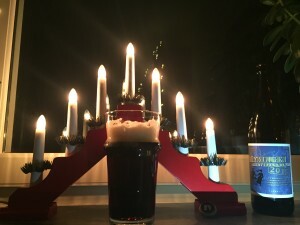 Til Fra Via by Mikkeller is a thick smoky porter with a black body and a dark chocolate coloured head with mediocre head retention. This beer has a strong sweet-smoky aroma and has a dry smoky body with mild malt bitterness to it. The mouthfeel is very thick and carbonation is medium. 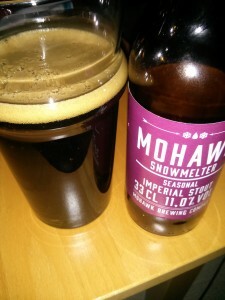 Rating: 4/5 – A delicious strong smoky porter that warms me up nicely. A pleasant way to wind down a day. 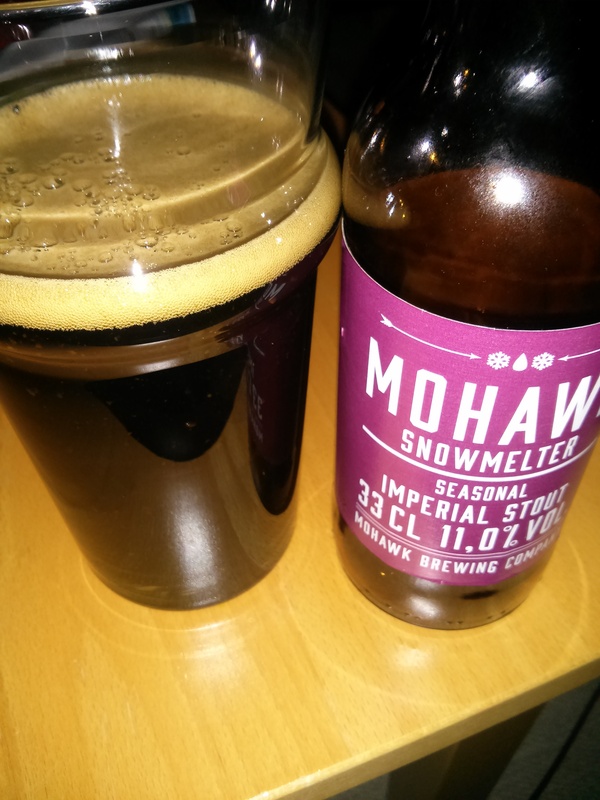 Mohawk Snowmelter is I believe the strongest beer this advent season. With minimal light brown head that disappeared quickly this beer is quite dark. The aroma is of cigarette smoke and the body is much the same. If there are other tastes or smells they were heavily overpowered by the smokiness. The body is medium to heavy and the carbonation is low. Rating: 0/5 – Drainpour. Cigarette smoke overpowers everything and I found this undrinkable at best. This is a good example of how to not do a smoky beer.